A classic item for another part of my perfume review series. If you want to find out about the series or to go back to the beginning and catch up you can find it here. Getting hold of this bottle of perfection is pretty difficult. I got it when Harrods had a Christmas sale and an added 10% off for members (please don’t judge me but their cheese and fish counter is heavenly) but from what I can tell it isn’t available at Harrods or that many other places at the minute. Amber Floral. Luminous, sensual, delicate. A luminous interpretation with ambery floral notes. The fresh burst of bergamot gives way to a delicate floral heart: an orchestrated overdose of rose, jasmine and iris. 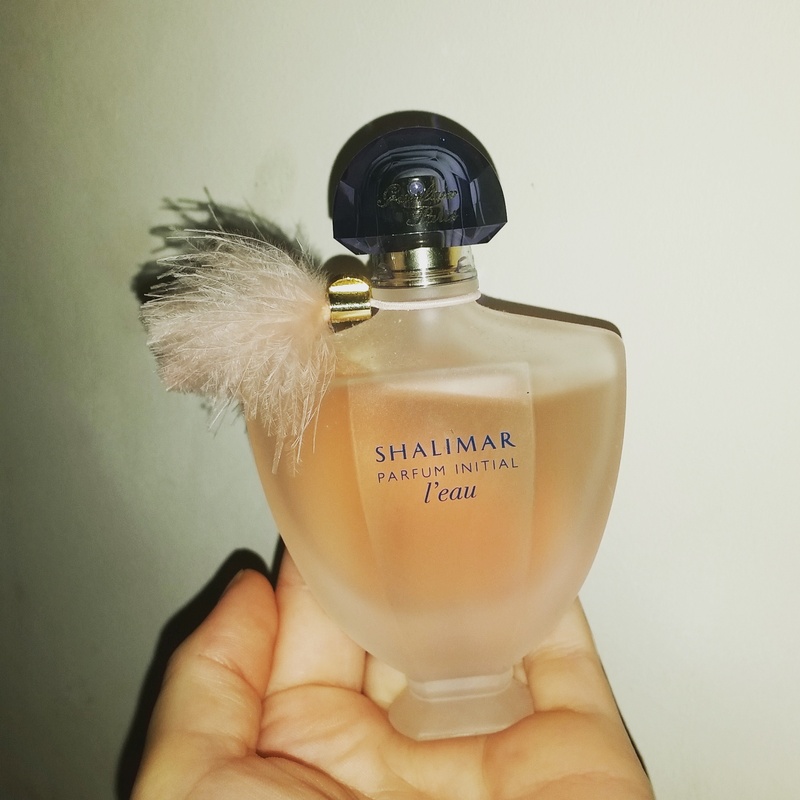 The vanilla and tonka bean base is just as addictive as its predecessor, Shalimar. Trying to describe this perfume I feel incredibly out of my depth. It is so utterly sophisticated and frankly divine that trying to explain each scent is far beyond my basic knowledge (although I would love to learn to understand it all). It is the most grown up and deepened scent I have ever encountered. If a perfume can smell rich and expensive then this is it. It mentions an overdose of various floral scents but they are indeed very much orchestrated to create the beautiful smell of a garden in spring and summer with them all in full bloom. If I inhale at a more shallow level the smell of beans that it mentions is noticable and the vanilla scent is simply heavenly. The scent lasts all day on the skin and I feel it really screams ‘look at me’ for all the right reasons. I only ever use this for special and important events as I love it so much. The bottle also deserves appreciation and the tassle attached to the top is incredibly soft and gentle.